As the Battle for Azeroth rages on, Shacknews went to BlizzCon to speak to WoW developers Pat Dawson and Alex Afrasiabi and learn more about what's next, as well as discuss the continued evolution of World of Warcraft. World of Warcraft continues the Battle for Azeroth, as the story for the game's latest expansion goes on strong. The next step in the story for the long-running MMORPG is set to continue with the upcoming Tides of Vengeance update. To learn more, Shacknews took some time at BlizzCon to speak to Lead Software Engineer Pat Dawson and Lead World Designer Alex Afrasiabi. 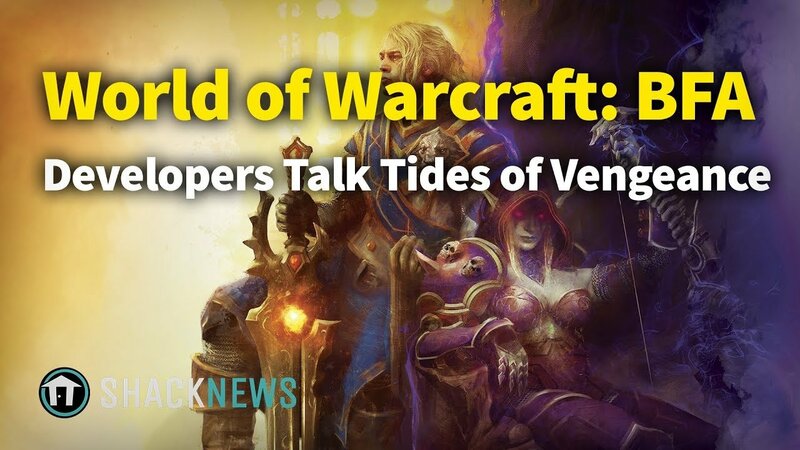 "Really, what we want to do is tell the side of the Horde that we think... resonates with a lot of our player base and at the same time, advance this storyline of ongoing conflict," Afrasiabi told Shacknews. "Who is the enemy? Who is the bad guy? And who does the Alliance perceive that way and who does the Horde perceive that way? And [we] kind of roll that out into something that hopefully, I think, when all is said and done, when we are kind of done with this storyline in this story arc, Sylvanas supporters and loyalists of the old Horde will both be satisfied in some fashion. So we'll see. We'll see where it goes, but I feel pretty good about it." The Blizzard developers also dive into what it means to go back to the base Alliance vs. Horde conflict, the Warfronts mode, the game's continued evolution, and more. For more interviews like this, be sure to subscribe to Shacknews and GamerHub.TV on YouTube. WHAT AN AMAZING INTERVIEW! GIVE THAT MAN A RAISE!